Truck N Fire Pizza began in 2013 by a semi-retired brick layer, Alan Michael. 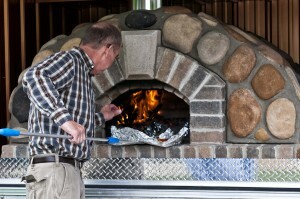 Using the skills learned as a brick layer a 3-ton brick oven was hand crafted with one thing in mind, making great food. Pair the oven with a mobile food truck featuring a commercial kitchen and we’re equipped to bring the party to you. With wood-fired foods and the convenience of being able to go almost anywhere, Truck N Fire Pizza is always striving to be the most unique pizza experience around.